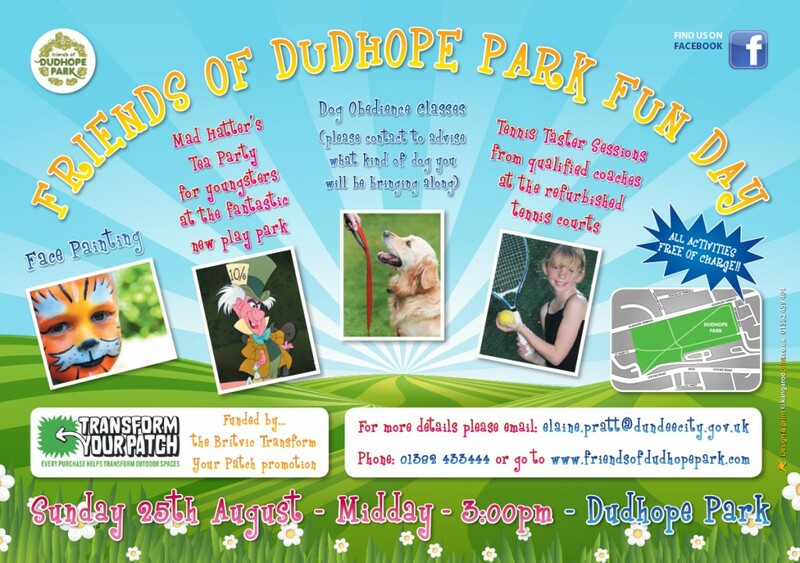 Don’t forget that the Friends of Dudhope Park Fun Day is happening on Sunday 25th of August! Come along and enjoy the new and improved facilities in the park such as the play park, tennis courts and skatepark. 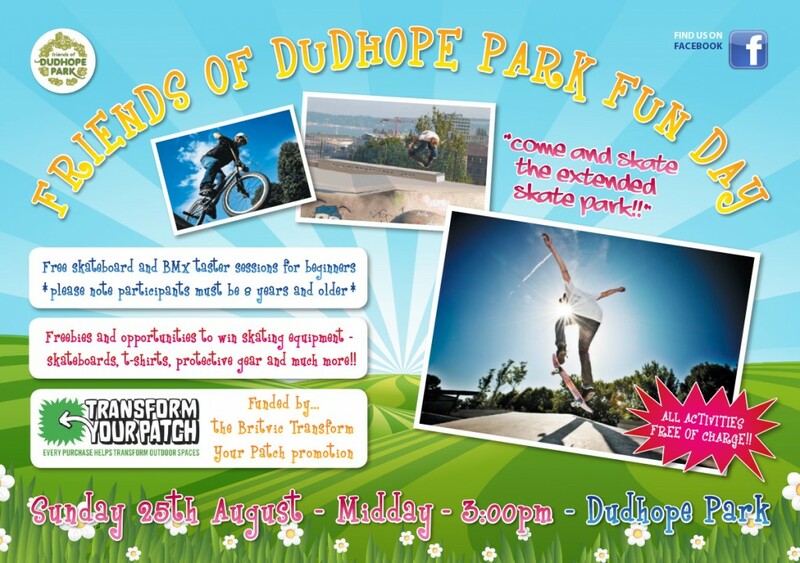 There will also be other activities happening on the day such as face painting, Mad Hatter’s Tea Party for the youngsters, Dog Obedience classes, tennis taster sessions and also free skateboard and BMX taster sessions on a portable miniramp (the skatepark can be quite busy on a Sunday afternoon! ), and more! So come along on Sunday 25th August between 12noon and 3pm, we look forward to seeing you there! This entry was posted in Uncategorized on August 16, 2013 by Nicky Maccrimmon.